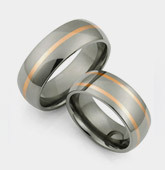 Titanium wedding rings for men are the perfect solution for any active male. Many men opt not to wear jewelry, even wedding bands, due to their profession or hobbies as the rings end up being easily damaged. Titanium is a natural element, which is used regularly in the manufacturing of airplanes, tanks, and automobiles due to its extreme durability. However, in spite of that sturdiness, titanium is actually a very attractive metal. It is a deep silver color, similar to platinum, but slightly darker and richer. 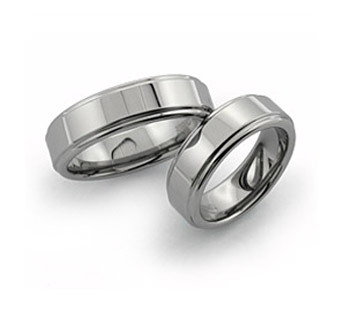 Titanium bands are completely resistant to bending or breaking. There is little to no risk of them become deformed, even in extreme conditions. The hard surface is not easily scratched and if nicks do appear, they are generally shallow in nature and can easily be buffed out. 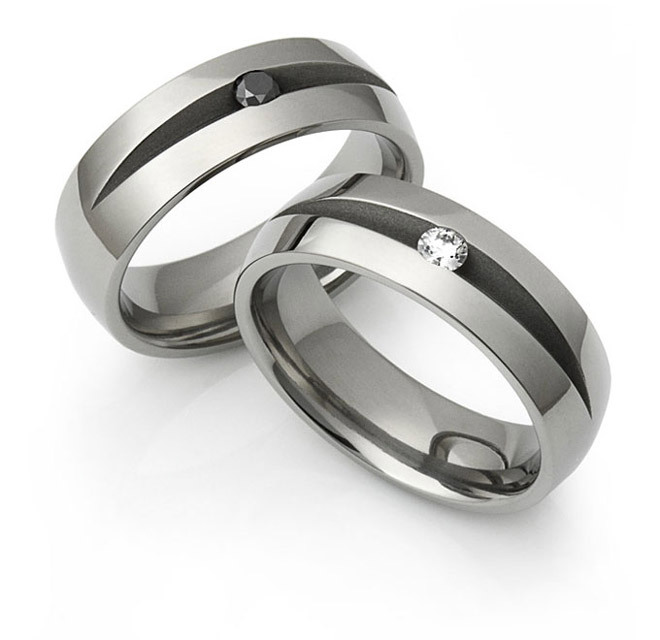 This hardiness is what makes titanium wedding rings for men ideal. 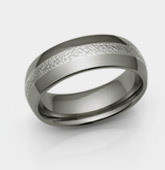 Customers anywhere in the world can browse the website and view the variety of styles of titanium wedding rings for men, along with the range of custom options to choose from. A popular preference is the addition of an inlay. 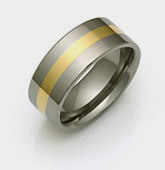 An inlay breaks up the titanium band with an inner band of another metal. The buyer can choose from yellow gold, rose gold, white gold, silver, platinum, black rubber, or black ceramic for their inlay and can opt to have it raised up slightly to make it stand out more, or set deeper, in a channel. Men can choose to add grooves to their band or whether or not they like the look of beveled edges. A traditionalist might like the classic domed style or one with more modern taste might prefer the contemporary result of the square look. Finishes can be shiny, satin or hand hammered, or a combination of the three. For the groom who likes color, Titanium Style has a selection of quality gemstones to choose from which can be added to the titanium band. 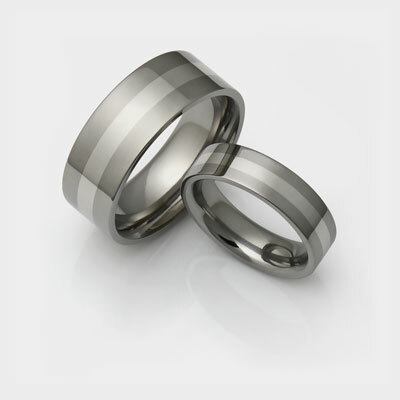 All of Titanium Style’s titanium wedding rings for men are completely hypoallergenic, making them a safe choice for people suffering from Nickel allergy. Titanium Style offers a Lifetime Warranty with all of their handcrafted jewelry pieces which protects the buyer against any manufacturer or material defects. 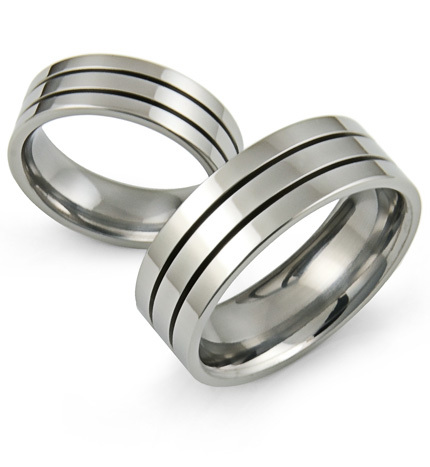 Additionally, to ensure the band looks stunning for years to come, all of their titanium wedding rings for men come with a Lifetime Refinishing policy, which provides a complimentary buffing of the band annually.